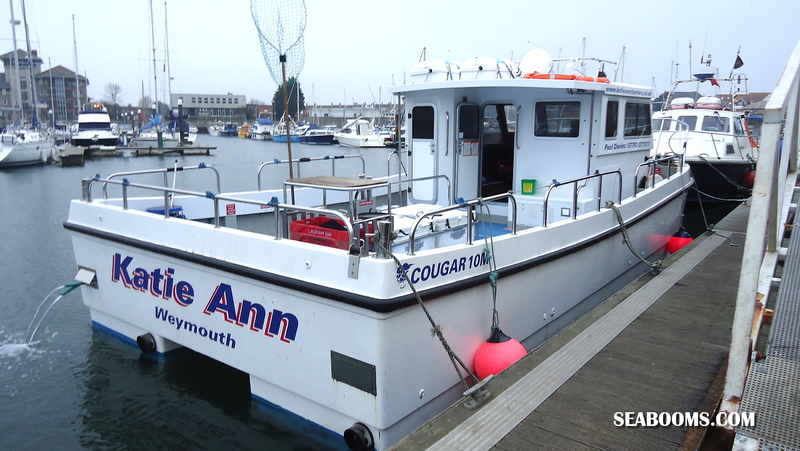 Fishing out of Weymouth on board Katie Ann skipper owner Paul Davies, the boat is a 10 m Cougar cat powered by twin 330hp iveco turbo diesels cruising at 17 to 22 knots weather permitting and plenty of fishing space plus it’s kitted with a live bait tank, ice boxes and plenty of tea, coffee and soups throughout the fishing day. 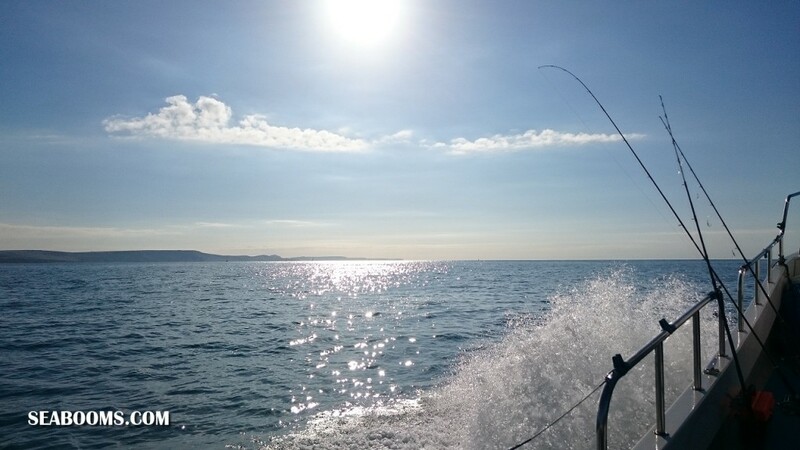 I’ve fished and flimed on the boat a number of occasions and have enjoyed some quality angling and used the opportunities to test out plenty of new lures. 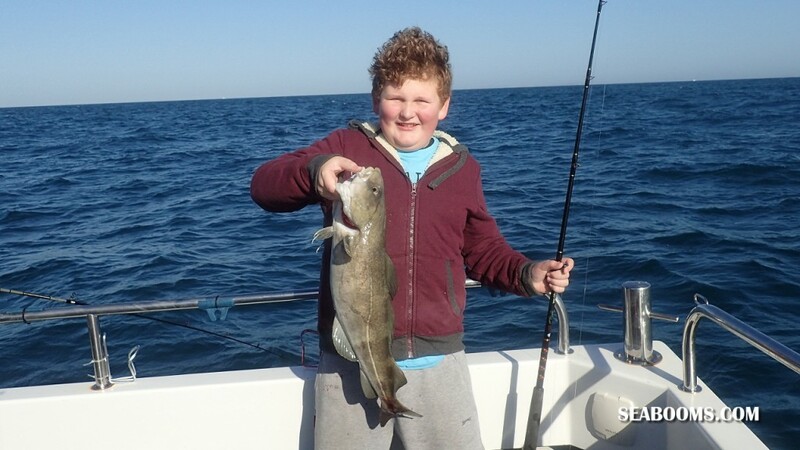 My PB Cod was taken on the boat and my son also enjoyed a Cod session taking his own PB Cod 22lb nice fish that gave him some good sport. 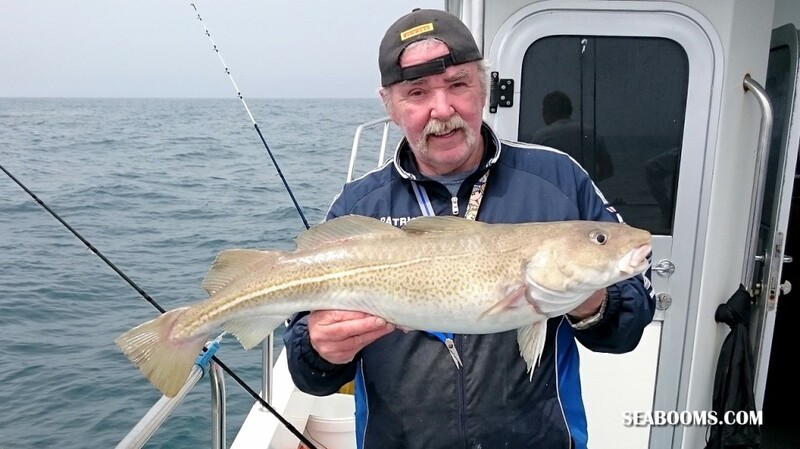 Paul has fished out of Weymouth for many years and his local knowledge on most occasions he can find his anglers fish and with the amount of varied fishing in the area you have plenty of choice both inshore and offshore wrecking. 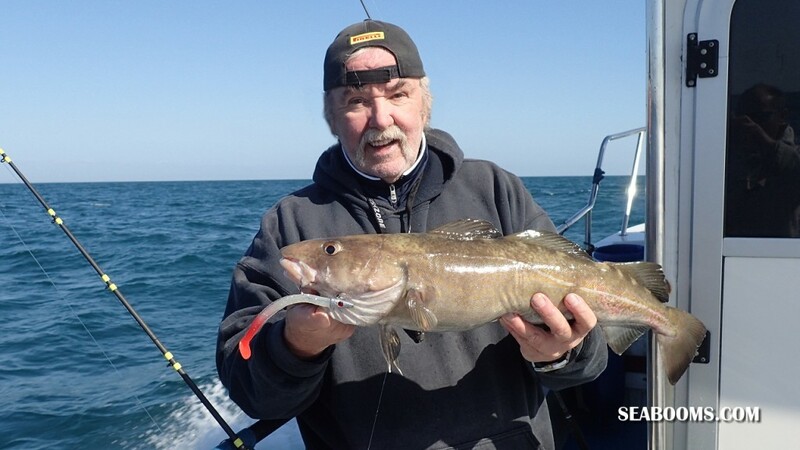 I personally have enjoyed plenty of wrecking trips and have always taken fish home for the freezer, Cod, Pollock and Bass. 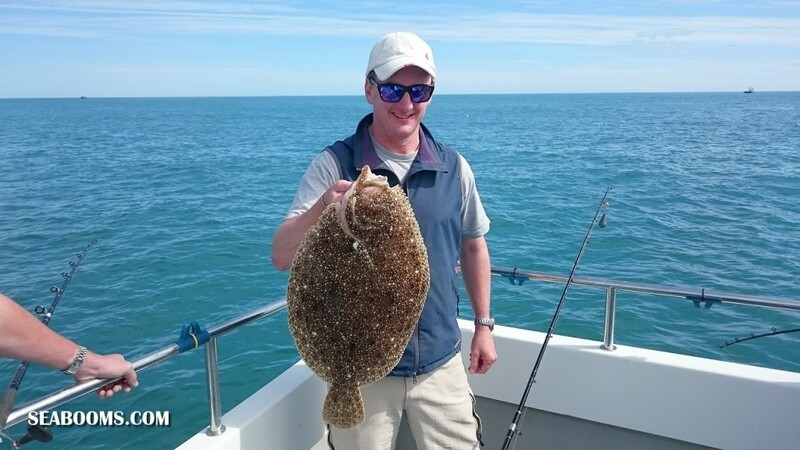 Inshore Turbot, Plaice, Bass, Brill and rough ground fishing is all available at various times throughout the year off Weymouth and Paul is well switched on to target what’s best for the tides and months during the year. 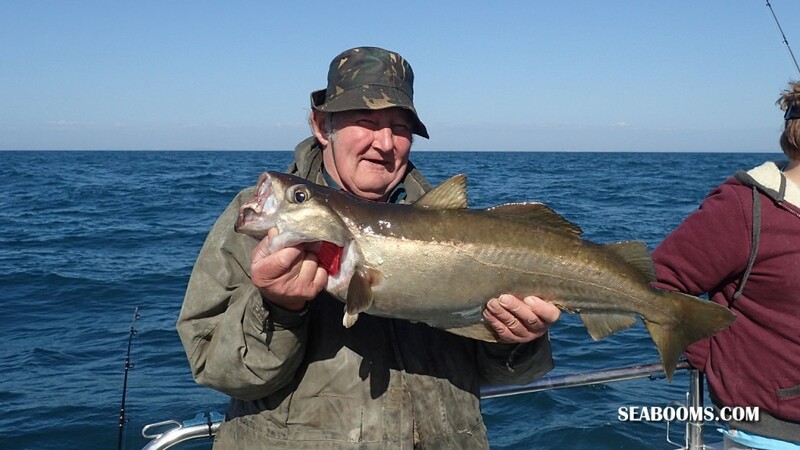 Newbies are welcome and he carries on board hire rods, tackle supplies and rigs plus will offer as much advice to get you catching fish as quick as possible. 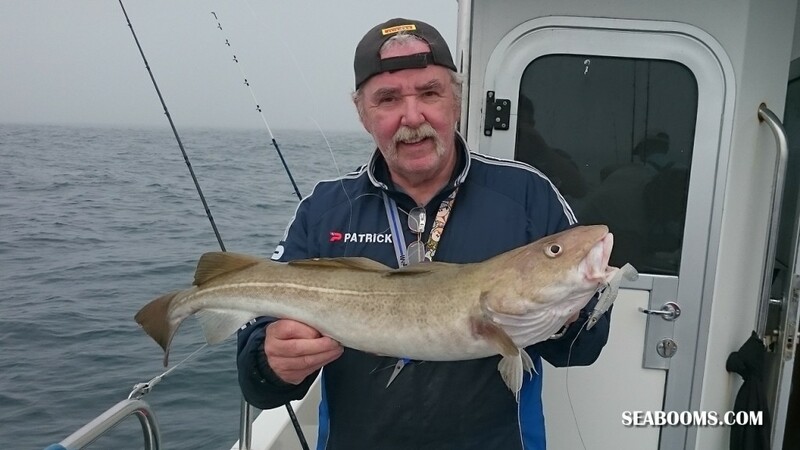 Have seen Paul working with newbies and seen them take top catch honours on more than one occasion with hire rods and equipment when others with their Super High Cost kit doing very little sods law as they say. 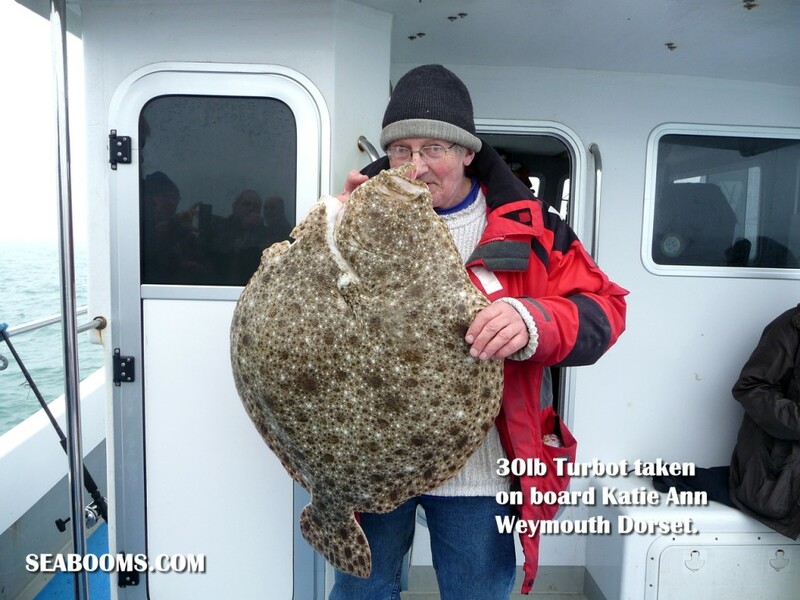 From an anglers point of view it’s worth noting that the mooring of Paul’s boat Katie Ann is very local to all facilities. 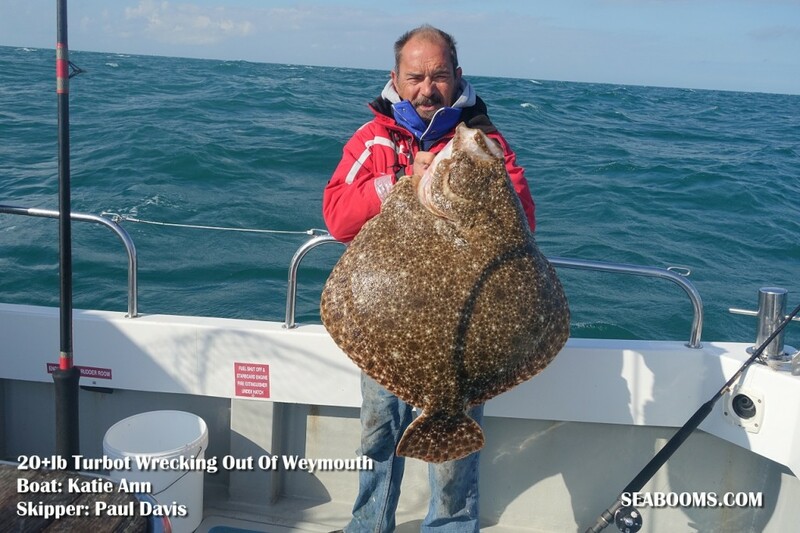 Car parking and Paul has tickets on board the boat is at the quay, Weymouth angling store is less than 5 minutes walk for tackle and bait and you have the Sailors Return pub for hot drinks and breakfasts so all very convenient when moving your kit and catch to your car. 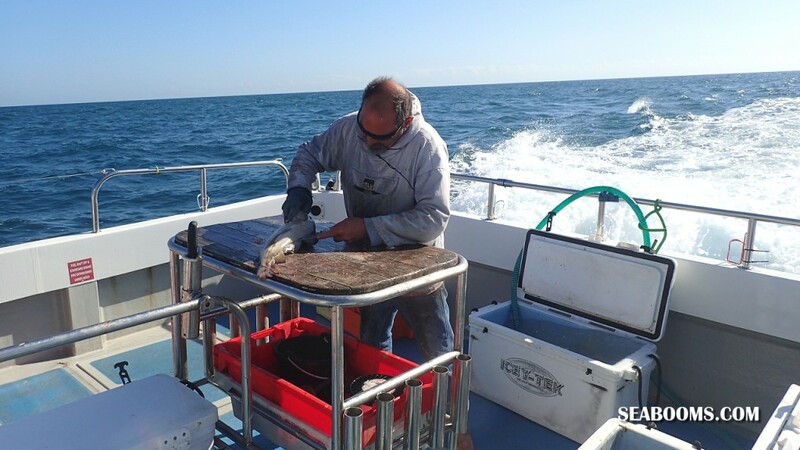 Another feature and one I think is a major Plus on any charter boat is a crewman. 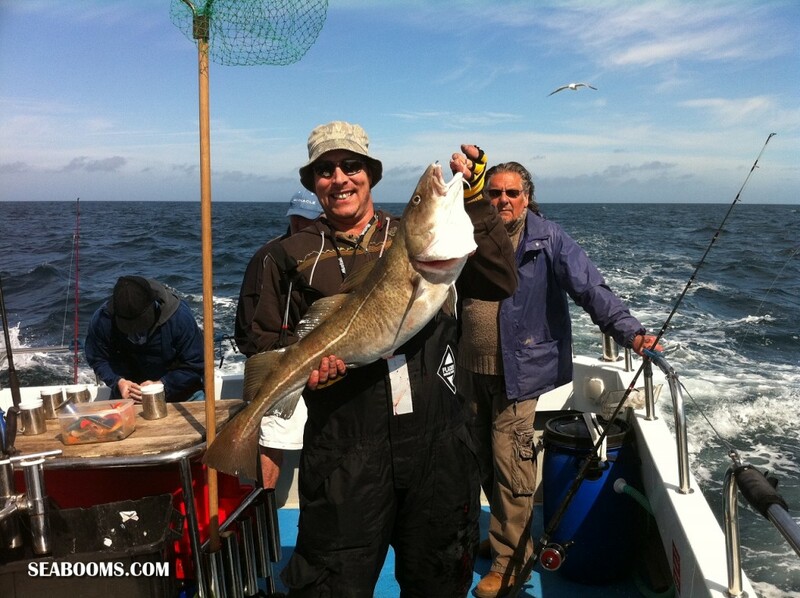 Pauls usual crewman Rick is also an expert angler and is full of support to all on board, new anglers or experienced, I’ve fished next to Rick a few times and he loves light tackle angling with a very active light rod and seen him boat plenty of Cod and recently a tope around 40lb on basically a bream rig with #1 hook and in the last few weeks a 20lb+ Turbot out wrecking again on light tackle lure fishing. 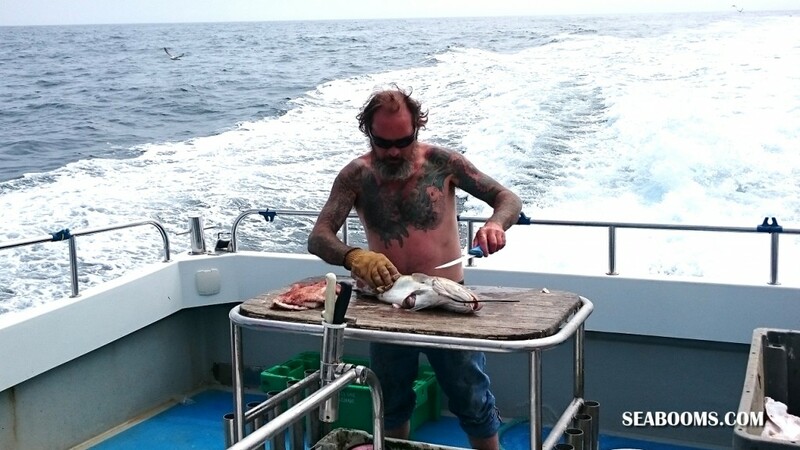 He is also an extremely fast filletor and will prep your catch exactly as you want it, wash and bag it and that for me is one major bonus on any boat. 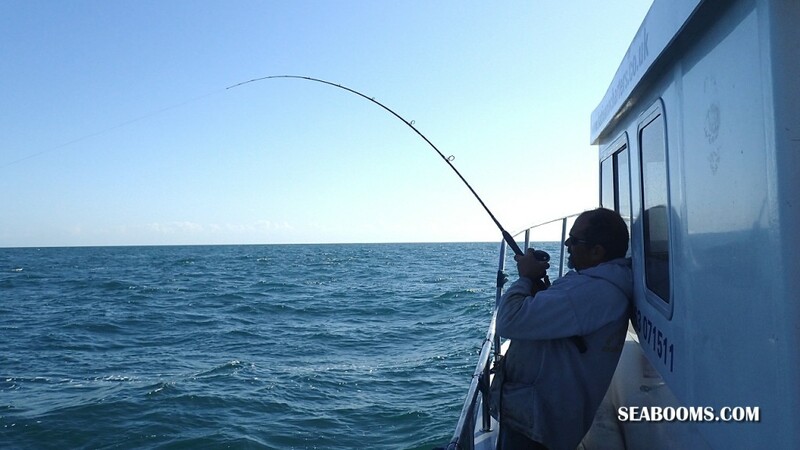 I don’t mind filleting my catch but when you watch Rick in action it’s best to let the expert do his work and relax on the way home. 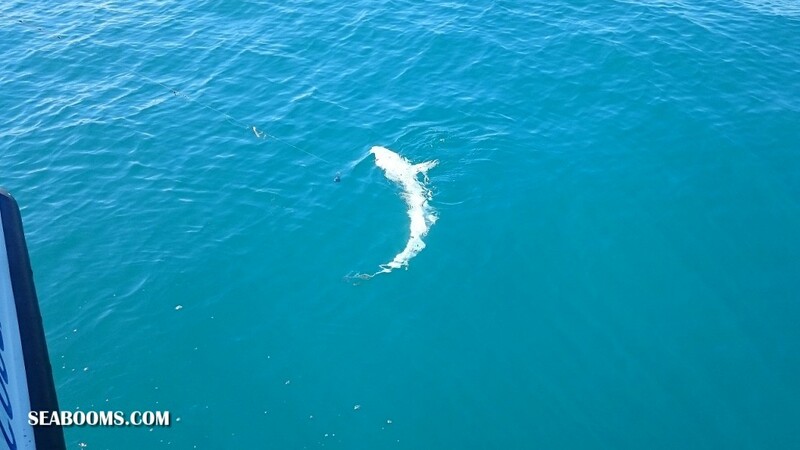 My latest trip out on the Katie Ann was a mid channel wrecking session with my Turbo Eels, Deviltails and UV versions to see how they perform and with it getting late into the season for wrecking with many skippers not visiting the wrecks as usually they don’t produce much action I knew it would be a good test for the lures to produce. 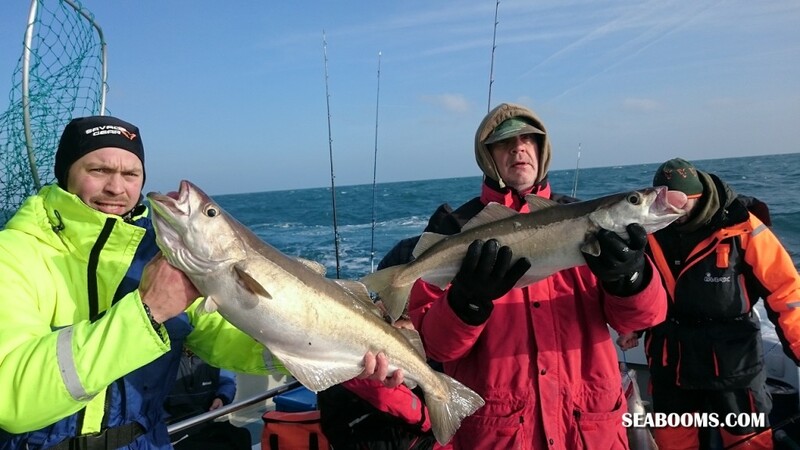 We had plenty of sun good forecast for the day, first wreck visited it produced Cod, Pollock, Bass and Gurnard plus the usual pesky pouting. 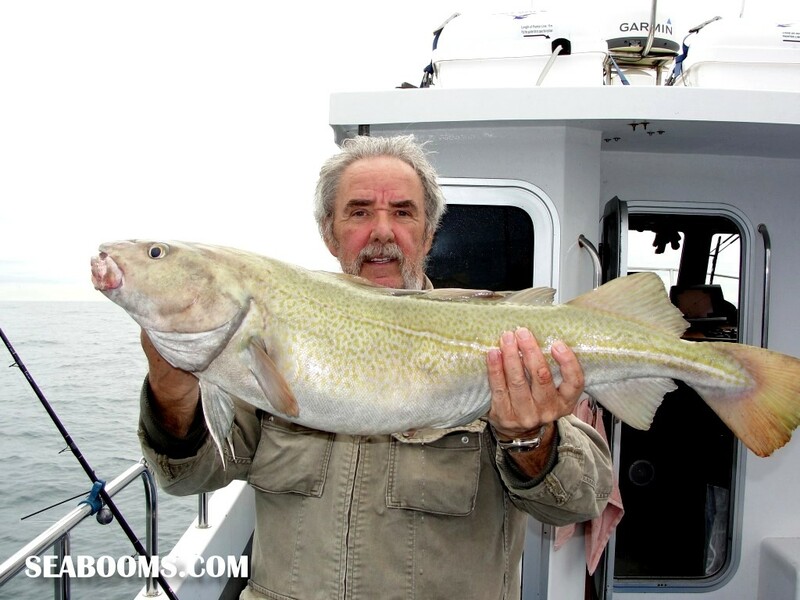 Good sized Cod and a double figure Pollock with Bass of legal limits. 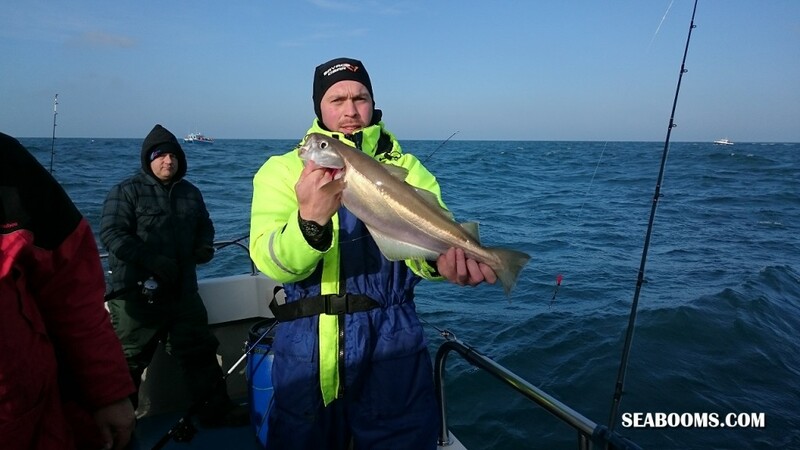 My Turbo eels and Deviltail eels plus I tried my UV lures worked well so pleased with their performance and the other guys used a variety to land a good number of fish. 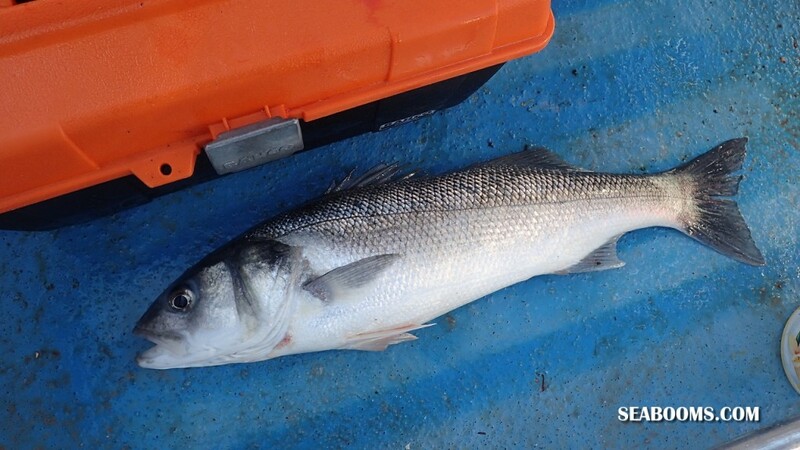 We worked as a collective and all fish went in the boxes to share at the end of the day so plenty of fish for the freezers for all of us. Rigs I only used one style which is my version of the Portland rig and leader all in one straight to my braid using the improved Albright knot of 5 turns up and 5 back and then just to finish the knot I put two half hitches using the braid running end this isn’t paranoia it’s more to ease the knot through the top ring and then trim the tags back tight to the knot, creates a smooth super strong braid to mono knot. The crew I have fished with all these guys many times before and it was good to have three generations of Father son and Father son with young Andrew pulling some cracking fish so he was well pleased along with his dad and his dad (grandad) too. 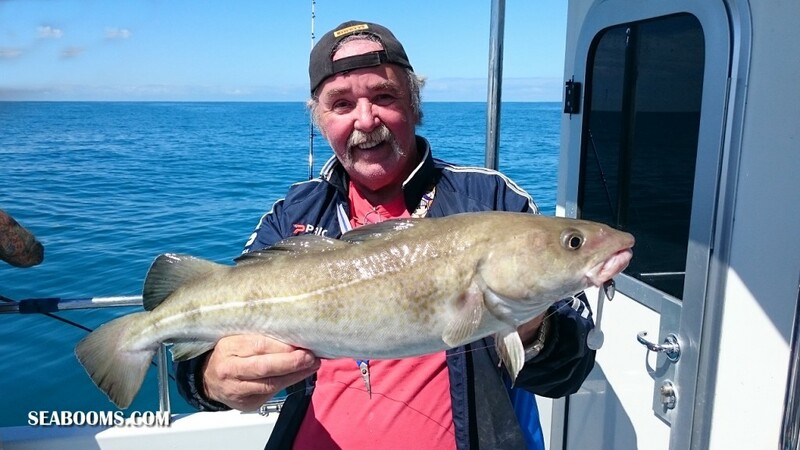 The Rickster had time to dangle in between landing fish and found some good Cod for the box and even skipper Paul managed a few. 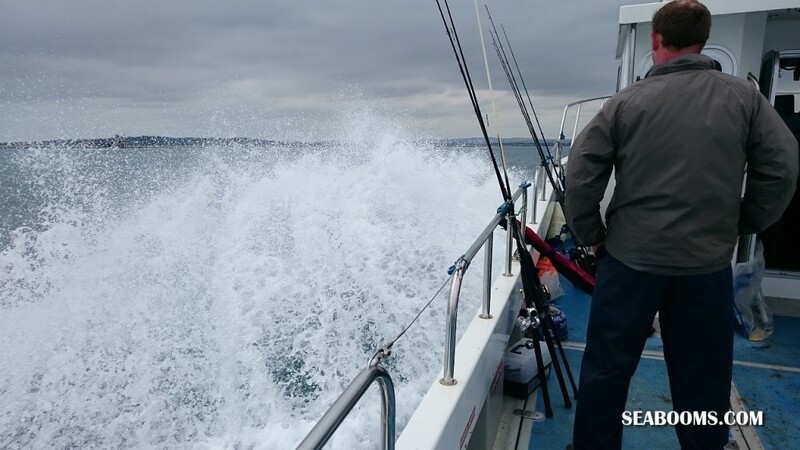 Marvellous day and only two wrecks visited and they say Weymouth wrecking has dwindled PFFFT it certainly hasn’t but a good skipper that knows where to look helps. 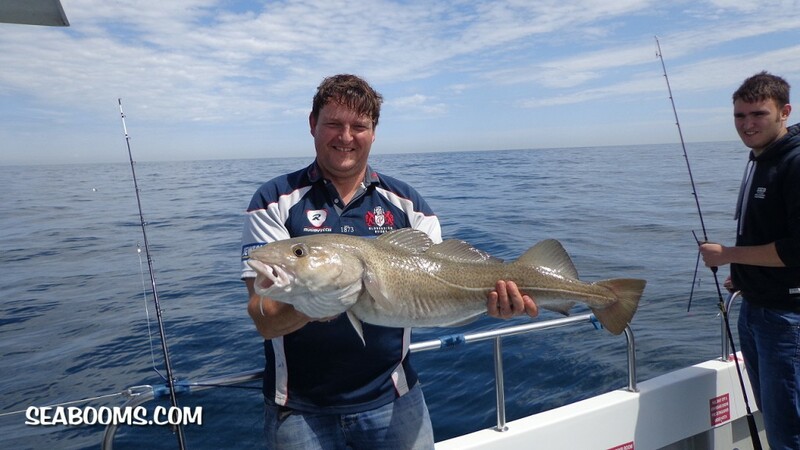 Some images of the day which more than shows what a great trip out it was plus there will be many more trips out with Paul in the future. 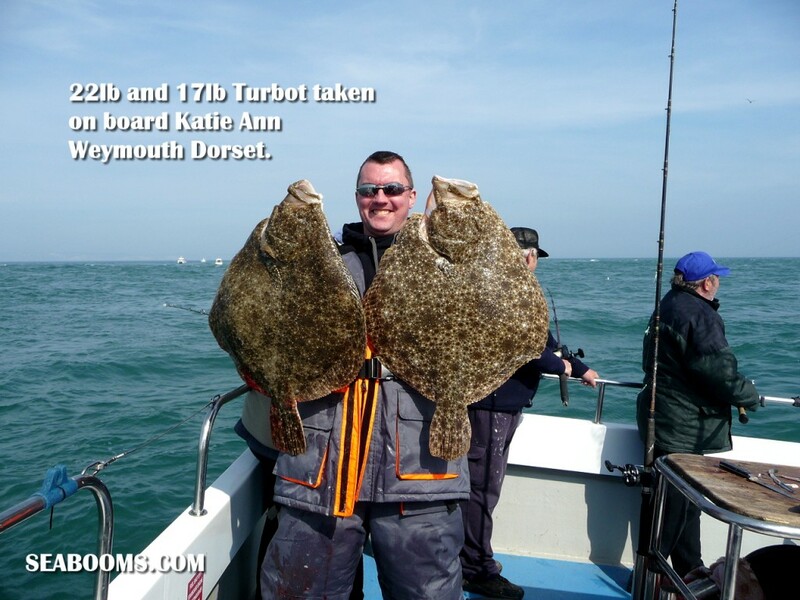 Just to close this article if you want to book a place or charter on Pauls boat you can go here KATIE ANN CHARTERS and view his diary dates. 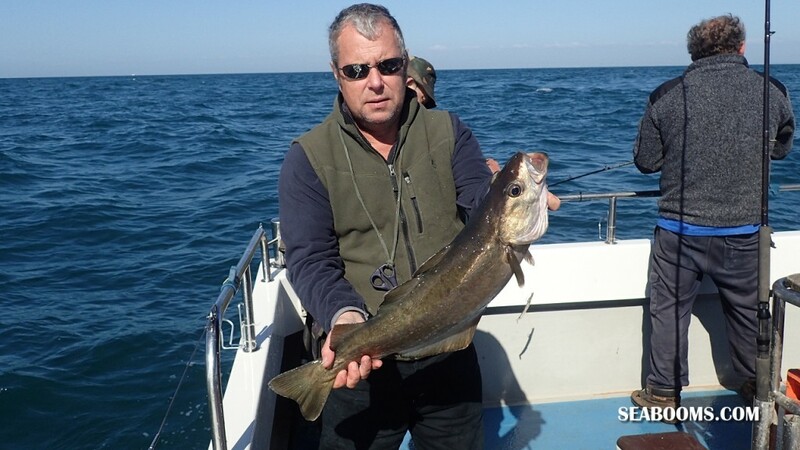 Paul also operates a great text alert system, all you have to do is contact him and request to be added to his list and you will get texts of places available and what is the target fishing. If you want to grab one reply to him if not just ignore. 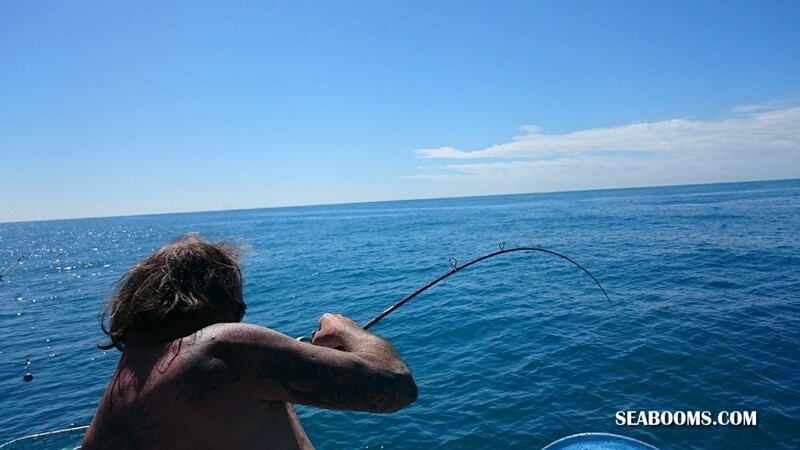 Well Recommended boat and skipper ! !